Bobby Joe Sullivan, 88, our devoted brother, passed from this life on Monday, February 4, 2019, to join his beloved bride, Sara, in the arms of the Lord. Celebration of Life Services will be at 2:30 pm Tuesday in Wesley Hall at Polk St. United Methodist Church, 1401 S. Polk St. Bobby was born August 7, 1930, in Countyline, Carter County, Oklahoma, the oldest of three sons of Scott and Sarah (Coaly) Sullivan. He started school in Fox, Oklahoma, and graduated from high school in Hobbs, New Mexico, after the Great Depression forced the family from the farm into the oil fields. As a youth in Hobbs, Bob earned the rank of Eagle Scout. After briefly attending the University of Oklahoma, Bob was drafted into the Army in 1951, during the Korean War. He served as supply sergeant for the Signal Corps of the 35th Infantry Division at Fort Rucker, Alabama. Upon leaving the military, he ventured north for a couple of years, to Buffalo, New York. 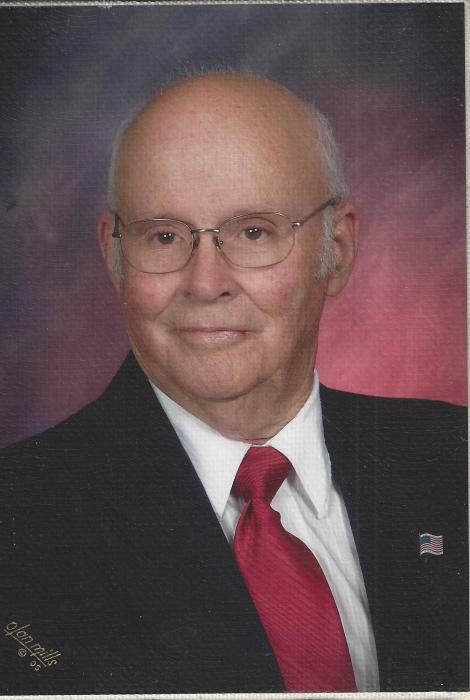 Bob returned home to attend Texas Tech, graduating with a degree in Accounting in 1958. Pioneer Natural Gas offered him a job, and he moved to Amarillo, where he met and married Sara Ann Lynn on December 22, 1962. The couple made Amarillo their home and remained here throughout their marriage, until Sara passed away May 16, 2018. They were devoted members of the Polk Street United Methodist Church. Bob and Sara treasured the mountains of northern New Mexico, and built a cabin there about 1970. They also loved to travel, touring the far reaches of the country in their customized travel van. An avid golfer, Bob played the links well into his 80s, and was proud that he actually made a hole-in-one. Bobby is survived by two brothers: George of Round Rock, Texas, and Jerry of Austin; a niece, Shawnna Sullivan, of San Carlos, California, and her sons, Alex and Austin; and a sister-in-law, Betty Smith and her husband Scott, of Amarillo, and their children, Jeanene, Sandra, and Danny. The family extends many thanks to the incredible staff of Autumn Leaves Memory Care, especially Reuben and Chris, and Gerald of Kindred Hospice for the wonderful, compassionate care given to Bob. Thanks, too, to Jeff for his attention and support far beyond the call of duty during our ordeal. All their halos are glowing brightly. In lieu of flowers, please donate to a charity of your choice.